In his riveting, achingly beautiful debut, Richard Lawson guides readers through an emotional and life-changing night as these teens are forced to face the reality of their pasts…and the prospect of very different futures. The epic conclusion to Lauren James’s debut The Next Together about true love and reincarnation. Sixteen years ago, after a scandal that rocked the world, teenagers Katherine and Matthew vanished without a trace. Now Clove Sutcliffe is determined to find her long lost relatives. But where do you start looking for a couple who seem to have been reincarnated at every key moment in history? Who were Kate and Matt? Why were they born again and again? And who is the mysterious Ella, who keeps appearing at every turn in Clove’s investigation? For Clove, there is a mystery to solve in the past and a love to find in the future, and failure could cost the world everything. High school students—Soph, who attends private school in Manhattan, and Tess, a public school student who lives on a dairy farm in New Hampshire—are thrown together as roommates at a week-long writing conference. 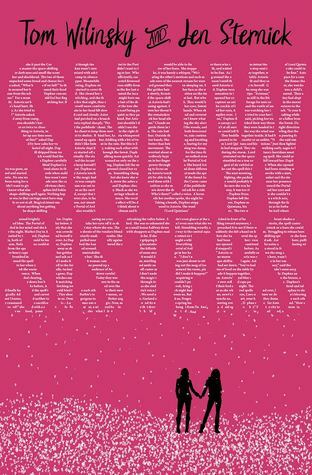 As they get to know each other and the other young women, both Soph and Tess discover unexpected truths and about friendship, their craft, and how to hold fast to their convictions while opening their hearts to love. Zack Scherzo likes his notebooks. And his pens. And, okay, he really loves to organize stuff. He’s organized his whole life into the ideal trajectory for his ten year plan, at which point his career will be solid and he’ll be ready for a husband and family. Everything makes perfect sense. Driven entrepreneur Isaiah Carlin generally doesn’t get involved with lost causes, like the climbing gym Zack’s trying to keep afloat. But there’s something about the gym—and there’s definitely something about Zack—that intrigues him. He wants to help. He also wants to see what happens when Zack shakes loose some of his rules and allows himself to feel. When passion collides with Zack’s regimented life path, something’s gotta give. And it looks like that thing is going to be Isaiah, unless he can convince Zack that sometimes real life is even better than the best laid plans. Welcome to Daniel Boone Middle School in the 1970s, where teachers and coaches must hide who they are, and girls who like girls are forced to question their own choices. 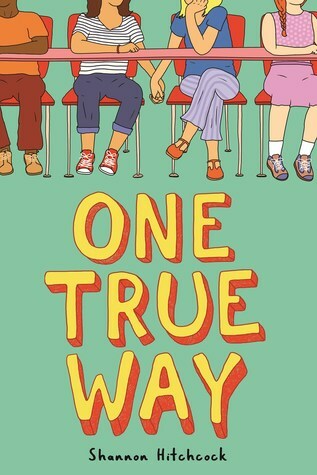 Presented in the voice of a premier storyteller, One True Way sheds exquisite light on what it means to be different, while at the same time being wholly true to oneself. 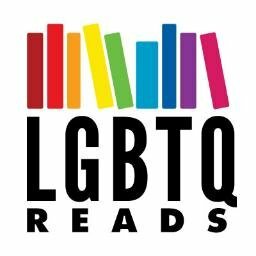 Through the lives and influences of two girls, readers come to see that love is love is love. Set against the backdrop of history and politics that surrounded gay rights in the 1970s South, this novel is a thoughtful, eye-opening, look at tolerance, acceptance, and change, and will widen the hearts of all readers.